Mark Punzalan is a Partner at Chan + Punzalan, and his practice focuses on trade secret disputes, trademark matters, complex business litigation, and intellectual property and technology litigation. Mark has represented U.S. and International clients from a wide variety of industries, and he has successfully prosecuted and defended his clients in complex litigation matters across the country. Mark has been recognized as a Super Lawyer in Intellectual Property Litigation numerous times (2015, 2016, and 2017). Will Mosley is a patent litigation associate at Kilpatrick Townsend & Stockton LLP. He received his law degree from U.C. Hastings College of the Law in May 2011. At Hastings, he was heavily involved in the Asian Pacific American Law Students Association (APALSA). Jennifer Murakami is an associate in the Labor & Employment Department of Seyfarth Shaw LLP’s San Francisco office. Jennifer received the 2015 National Asian Pacific American Bar Association (NAPABA) Pro Bono Award as a member of the legal team that prevailed in the first trial to challenge the constitutionality of the U.S. government’s terrorist watchlisting system. Jennifer received her JD from UC Berkeley, where she served as editor-in-chief of the Asian American Law Journal, and her bachelor’s degree from UCLA. Jennifer is an APABA Silicon Valley Board Member and co-chair of the Diversity & Inclusion committee. Thomas practices patent counseling, patent prosecution, and patent litigation at Baker Botts LLP. His current practice focuses on technologies in the area of medical devices, software, networking, and electronics. Thomas received his J.D. from the University of Texas, where he served as President of the Asian Law Students Association and as an editor on the Board of the Texas Law Review. Thomas also received a B.S. in Biomedical Engineering and a B.A. in Economics, both from the University of Texas at Austin. Cheryl Ho is an associate at Reed Smith LLP, where she is a member of the corporate transactions group. Cheryl received her J.D. from Santa Clara University School of Law, where she served as Co-President of SCU APALSA and an articles editor for the Santa Clara High Technology Law Journal. During law school, Cheryl was a legal intern at Salesforce and Hortonworks. Cheryl received her B.A. in Sociology and Political Science from UC Davis. Chris Han practices patent prosecution and patent litigation at Baker Botts LLP in Palo Alto. Chris received his JD in 2013 from NYU School of Law, where he served as Co-President of the Intellectual Property and Entertainment Law Society and as Articles Editor for the NYU Journal of Intellectual Property and Entertainment Law. Chris also received a B.S. in Bioengineering from the University of California, Berkeley. 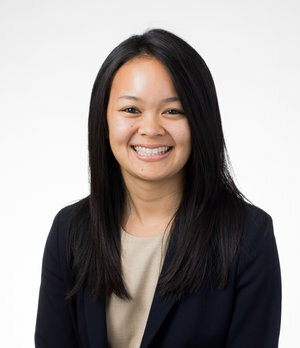 Jessica Ou is Corporate Counsel at Amazon Lab126. Prior to joining Lab126, Jessica was an associate at Gibson, Dunn & Crutcher LLP, where she was a member of the firm’s Litigation Department and practiced in the Information Technology and Data Privacy Group. Jessica received her J.D. from Stanford Law School in 2011, where she served as APILSA President and Editor-in-Chief of the Stanford Technology Law Review. Jessica is an APABA Silicon Valley Board Member and founder of APABA Silicon Valley’s Women In Law Committee.